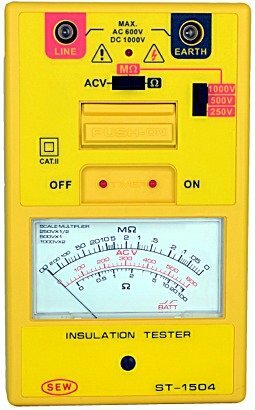 ● Measures insulation(MΩ), continuity(Ω) and AC voltage. ● LED (red) indication when testing insulation and continuity. ● Use of a high efficiency and accurate DC-DC converter. household appliances, power line distribution and installation.